The first day of class is a big deal for any child. 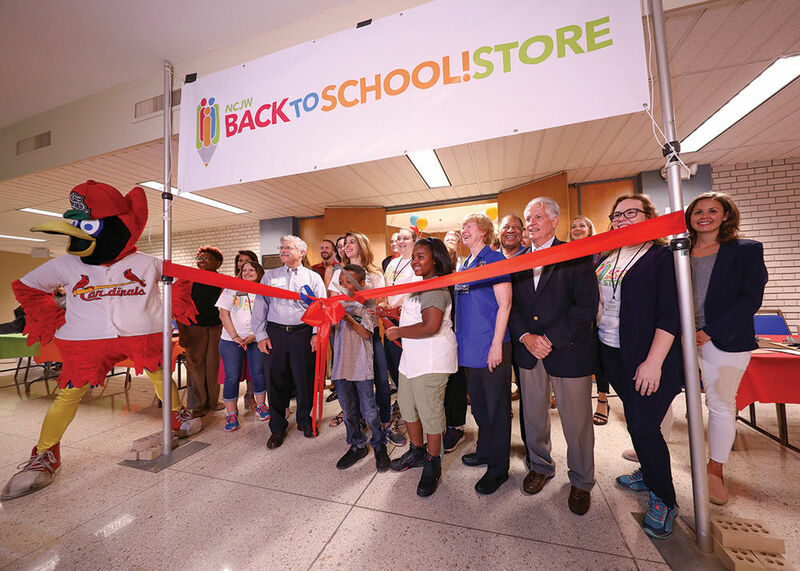 This year, about 1,400 elementary school-age kids from low-income St. Louis families will be ready for the first bell thanks to the National Council of Jewish Women-St. Louis. The annual NCJW Back to School! Store made its yearly visit to Temple Israel on Sunday (July 29) and, at the end of an exhausting day, hundreds of kids and volunteers were all smiles. The Back to School! Store is set up much like a standard department store. It provides each child with clothing, school supplies and personal care items. The event, which started here in August 2001, has since supported more than 13,000 children. Each student is paired with an NCJW adult volunteer who assists with shopping for clothing and supplies. Youngsters try on shoes and coats as they would in a real store. Social services agencies, churches and community service organizations select the qualifying children. NCJW obtains the supplies and clothes through grants and sponsors.